Best Places to Catch the Creepies and Crawlies this Monsoon! The first drops of rain bring with it the refreshing musky smell of mud! And out come a bunch of free gifts along with the lush greens and the sprightly leaves- the creepy crawlies of the underworld (quite literally, as we think of them). While the usual city dweller may grimace at the sight of these slimy creatures that suddenly seem to have sprouted from nowhere, we nature-lovers rejoice at the resurgence of these colourful and quirky lot! Yes, the season of snakes and slimy encounters is here, along with the pitter patter of the rains! So why not take a respite from our usual friends, the birds and the tigers, and explore a different facet of nature this monsoon? Let’s look at some of the best destinations to catch the dwellers of the undergrowth, and get to know them better! Herping is all about looking for reptiles and amphibians to observe their beauty (yes those creepy creatures have some hidden beauty) or get to know them better! Those supposedly lowly creatures that we often tend to ignore, indeed host some strange and interesting secrets, not to mention that they present some great macro photography opportunities! Amboli, Maharashtra: Mists swirl up onto this biodiversity hotspot located in the Western Ghats of Maharashtra, as you aim to capture the Malabar Gliding Frog and the Malabar Pot Viper on your camera. The Tiger Toad is endemic to Amboli and critically endangered, so look out to say hi to it as you trudge the swishy landscapes! Some of the key areas to check out are Parikshit point and Mahadevgad for some great wildlife sightings. 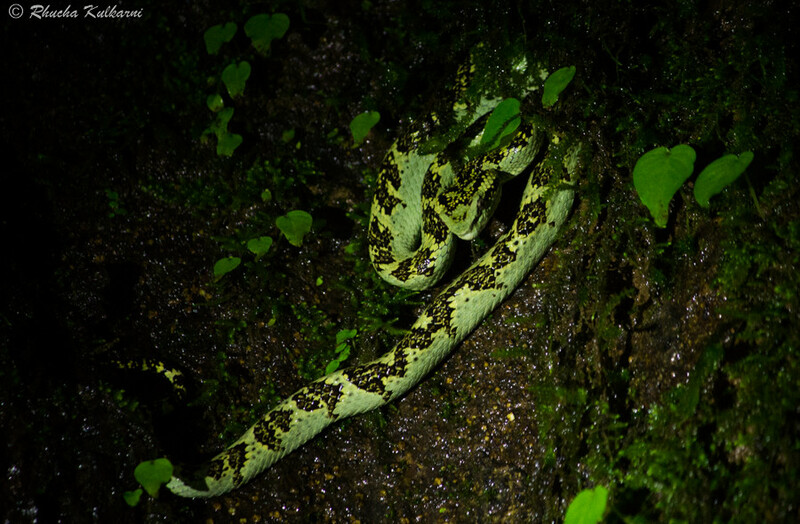 Agumbe, Karnataka: The home of the revered and often feared Kind Cobra, Agumbe in the Shimoga district of Karnataka is known as a paradise for herpes. The tropical rainforests beckon with gurgling streams and tall canopies, giving it the name of Cherrapunji of the South. It houses the Agumbe Rainforest Research Station, which was established as a research and conservation centre by the eminent herpetologist, Romulus Whitaker. A glimpse of species such as the King Cobra if you are very lucky, are sure to enthral you! Mind you, it’s not just for wildlife lovers, but trekkers too can rejoice with scenic trails and treks like the Kudlu Theertha Falls and Nishani Gudda. Located 380 km from Bangalore, it is a great wildlife weekend escape. Matheran, Maharashtra: This weekend destination for picnickers has more to it than just horse rides and cool climes. Look at the lesser known forests along the side-trails, and you are sure to unravel nature’s idiosyncrasies on full display. 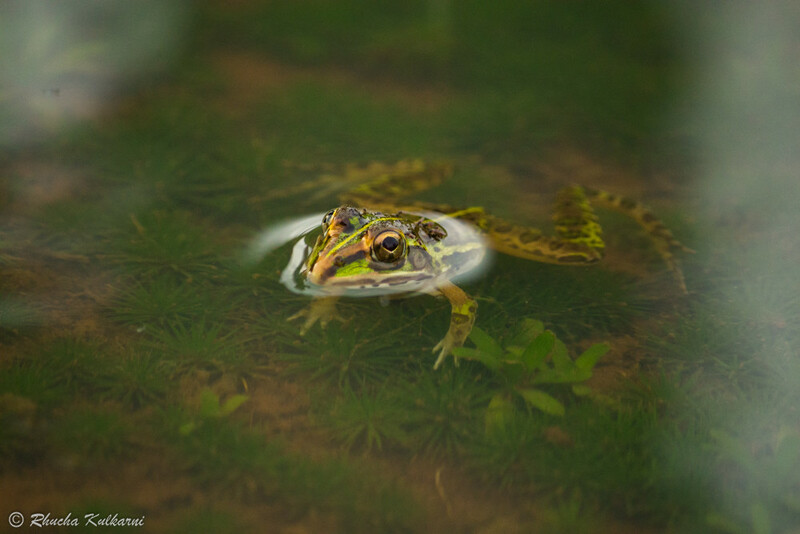 Get your share of macro photos by engaging with the bullfrogs and bush frogs that flourish here! Though not very structured, a here you can just trudge off on a random nature trail and be your free best! Coorg, Karnataka: Honey Valley in the Coorg district is a coffee plantation alongside eye-catching stretches of shola-grassland and evergreen forests. Dance to the joy of seeing the Dancing Frog, or wrinkle your eyebrows with curiosity on spotting the Wrinkled Frog. Colours and life come alive with the arrival of monsoons as the waterfalls give life to new life in the undergrowth. Goa: Did you think India’s party destination was desolate in the rains? Think again, coz come monsoons and you will see Goa teeming with more beauty and enchantment than ever! Make sure to visit the interiors of the forests such as the Mhadei Wildlife sanctuary and discover the likes of bright coral snakes and green vine snakes. Later, head to the Tambdi Surla forests and Castlerock forests belonging to the Bhagwan Mahavir Wildlife Sanctuary. The Mhadei Wildlife Sanctuary in Margao to presents great macro photography opportunities during the monsoons. Goa seems to don a different color with the onset of rains! 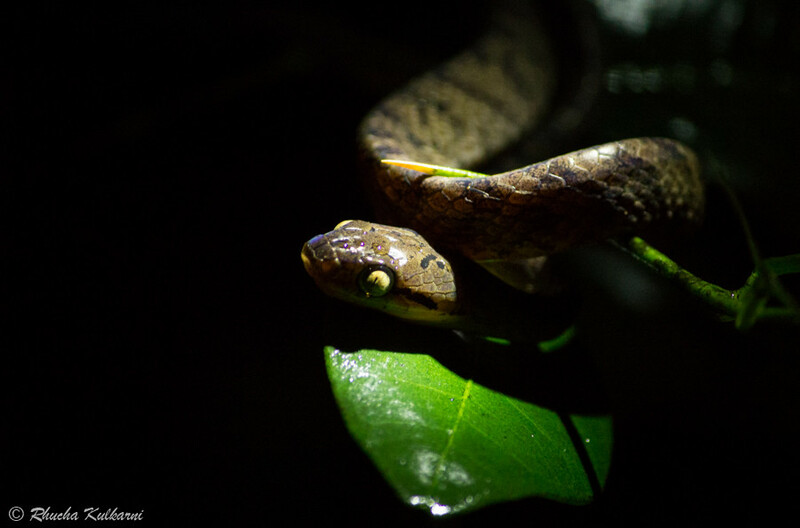 Best Time for Herping: Reptiles and amphibians are creatures of the night so walking around from evening time into the dead of the night is a great way to meet them. Be safe! Monsoons are the ideal time for leeches to flourish, make sure you don the leech paraphernalia to prevent being blood-sucked! Herping originates from the word “herp”, which comes from the same Greek root as herpetology, herpet-, meaning “creeping”. Now that’s some creepy logic!